There are a variety of reasons why your HP Special Edition laptop may not startup or boot into the operating system. We take pleasure in introducing ourselves as the best IT support provider in London, UK. We come under one company Creative IT to deliver professional HP Special Edition notebook repair in a cost effective manner. Does your laptop stops functioning due to an unexpected crash, virus attack, software failure, or any hardware fault? Just make a call to get the assistance of Creative IT professionals for fixing your faulty HP Special Edition laptops quickly and efficiently. We offer onsite HP Special Edition laptop repair and replacement service with the help of trained and resourceful engineers. They use latest technologies and highly sophisticated lab facilities to fix problems of AC adaptors, HP LCD screen, keyboard, motherboard, broken laptop hinges, batteries, and backlight. As part of HP Special Edition notebook repair we also provide other value added services of data transfer/recovery, virus removal, software installation, laptop upgrades, and networking at affordable rates. Are you in search of an HP Special Edition laptop part for replacement? Then no need to go around. Creative IT stocks genuine hard disk, RAM, battery, LCD screen, keyboards, CD ROM, and AC adaptors at best prices. It is desirable to take expert advice before going in for a replacement service as this may cause extra financial burden. You can also consult our customer service representatives to get informative ideas for keeping your system intact for long years. Our pleasant dealing and cordial customer relationship always help us to achieve trust among every type of customers. We charge for only what we do. Our HP Special Edition notebook repair rates are relatively low in comparison with the prevailing market rates. Make an ideal decision to sign a HP Special Edition maintenance contract for peace of mind and satisfaction of work. 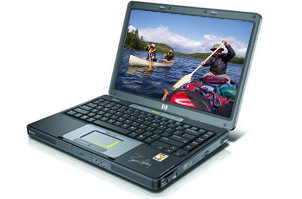 We are pleased to clear your further queries regarding our HP Special Edition notebook repair service in London, UK. Please do call us at 020 7237 6805 or send us an email at info@creativeit.tv for a prompt reply.